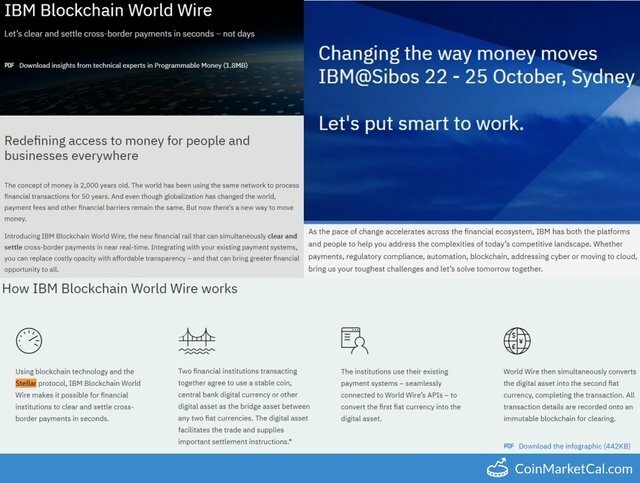 IBM Blockchain World Wire launches on the Stellar Network to clear and settle cross-border payments in seconds. what is IBM bro seconnd i know. You got a 2.61% upvote from @oceanwhale courtesy of @coinmarketcal! Earn 100% earning payout by delegating SP to @oceanwhale. Visit www.OceanWhaleBot.com for details! This post has received a 20.63% upvote from @lovejuice thanks to @coinmarketcal. They love you, so does Aggroed. Please be sure to vote for Witnesses at https://steemit.com/~witnesses. You got a 27.82% upvote from @redlambo courtesy of @coinmarketcal! Make sure to use tag #redlambo to be considered for the curation post! You got a 4.17% upvote from @emperorofnaps courtesy of @coinmarketcal! You got a 23.61% upvote from @whalecreator courtesy of @coinmarketcal! Delegate your Steem Power to earn 100% payouts.